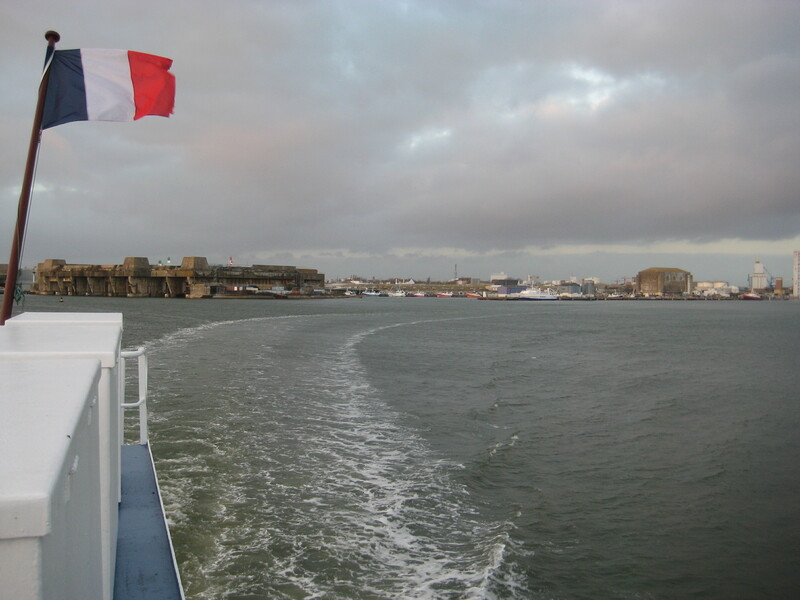 Leaving Lorient (To the left, Keroman Submarine Base). All photographs by the author. 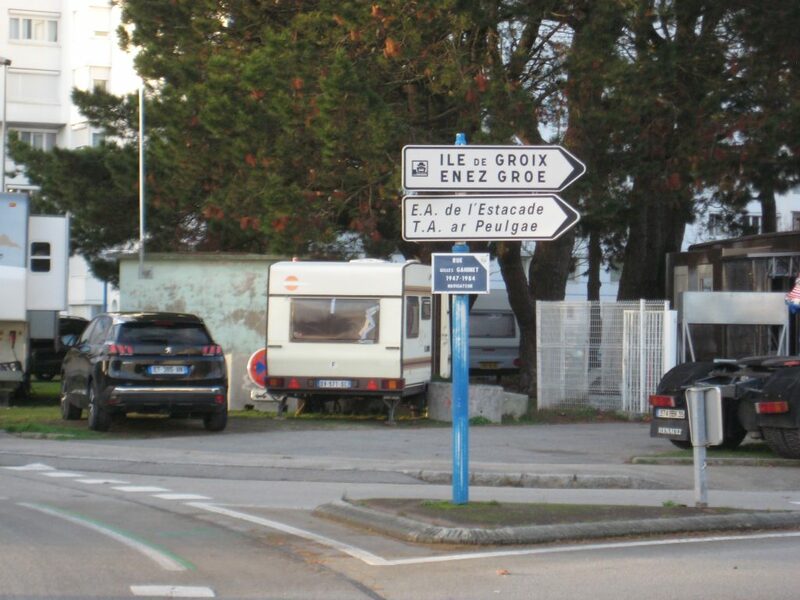 This post consists of excerpts from the research diary I kept during my research trip to Groix, France, in December 2018. Groix is a small island off the coast of Brittany, France’s westernmost region. This investigation into Groix’s understudied past is part of a long-haul project on three small northern European islands that I presented in a previous post. I am currently in the final phases of research for the Groix portion of the trilogy, as I have now read all of the secondary literature on the topic and scoured several Parisian and Breton archives. After another trip to the departmental archives (in Vannes) and the Lorient harbour and navy archives (also located in Lorient), I believe I will have enough material for a solid, well-documented book. By the summer of 2018, I finally managed to scrounge up some funds for a one-week trip to the island; enough time, I believed, to peruse or photograph an unknown number of documents stored at the bottom of the town hall’s cupboard. Thus, I was well aware, before I even began writing the following pages, that a trip to Groix’s barely catalogued fonds would be a leap into the unknown. While every archive is a world of its own, ridden with idiosyncrasies, any well-organized researcher should not experience any major issue navigating such places, as long as he/she abides by the local etiquette. In the present case, however, it took me approximately two years to find out who was in charge of the municipal archives, only to realize that they were, in fact, the island’s best kept secret. For the purpose of full disclosure, I would like to clarify that the idea of publishing excerpts from my research diary preceded the writing process. Although I tried my best to let the words flow, the outcome could be anything but the result of spontaneity. I could not adopt a stream-of-consciousness approach either, as this was intended as a research diary, not a creative writing experiment. Thus, I would not be surprised if some found the published version somewhat contrived. In my defence, I will simply answer that many primary sources historians use are also written with ulterior motives. In that regard, I plead guilty as charged: this report is artificial and has been proofread and amended. In addition to correcting the occasional typo or awkward sentence, I have taken the liberty of discarding the few paragraphs that have nothing to do with research, or history in general. In addition, although the “spirit” of the diary has been preserved, I must admit that I did censor some of its contents. Just as historians frequently engage in cherry-picking, source producers naturally select (more or less consciously) what they want to record and share with others. That being said, I deemed it appropriate not to censor the few contemplative, frivolous moments that punctuate the diary. Since the present post purports to give a general idea of what a research trip looks like, it would have been unfair to portray historians as workhorses unconcerned with the real world. Also, not all researchers are alike, and no one trip to the archives is the same. The following pages reflect my own experiences and how I go about my business during the research phases of my projects. From the discussions I have had with various historians, I came to realize that each one of us has their own routines and strategies, which not only stem from our respective personalities, but are also shaped by the subjects we choose to investigate. By now, you have probably realized that this diary should be treated like any other source. First of all, you should not take what follows at face value. Testimonies often are impressionistic, even when they aim for objectivity. Emplotment is, at the end of the day, a necessary evil. Secondly, please keep in mind that three simultaneously interdependent and autonomous dimensions are at play in every source, namely, (1) the intentio auctoris (the author’s intention), (2) the intentio operis (the work’s intention, or how a text can take a life of its own), and (3) the intentio lectoris (the reader’s intention). While I was always aware of (1), the power and personality (so to speak) of (2) occurred to me while copying the text. As for (3), it is now your business. Pearson Airport isn’t that bad, certainly not as impractical as Heathrow or Charles de Gaulle, albeit a tad impersonal. More nooks and crannies, places without screens where travellers can meet, read, work, or just for peoplewatching would be fantastic. That being said, it’s probably too much to ask. I’m boarding the Reykjavik flight in about twenty minutes. I wish I had more time on my hands to explore Iceland, but there’s only a 90-minute layover between flights. Meh. The Yellow Vests are planning a demonstration for Saturday. I’ll probably join them. The fuel tax really was the straw that broke the camel’s back! There’s also a need to reform the regime. The Fifth Republic isn’t that bad, but some of its features are outdated and not quite democratic. Having a couple of Christmas ambers at Le Triomphe, one of my favourite bars in the city. It’s nothing exceptional, but I like the vibe here. Read a bit of José Carlos Somoza’s Croatoan, his latest novel (not his best, unfortunately), before heading to my aunt and uncle’s for dinner. Tomorrow’s Yellow Vest protest is shaping up to be at least as violent as the one that took place last week. The riot police are in full force, with teargas grenade guns, water cannons, and light armoured vehicles. Recipe for disaster. I should email J. X. (my contact in Groix) sometime tomorrow. Hopefully he’ll help me convince the town hall employees to give me access to the documents in the mornings as well, as the secretary I chatted with over the phone explained that the staff was too busy to accommodate me before 1:00pm. Failing that, I’ll just do as the Romans do. The Gambetta/Belleville area is pretty quiet. Businesses are open and everyone seems pretty relaxed, as if it was just another “normal” Saturday. Meanwhile, less than one kilometre west of here, an obscene number of riot police officers are suppressing peaceful (for the most part) demonstrators. Over the last seventy-five years or so, the CRS (Compagnies républicaines de sécurité) have mastered the art of provoking brawls and using the slightest incident to crack down on protesters. Although not much happened this morning … several fights broke out earlier this afternoon. By about 3:00pm, thirty people had already been wounded, including three cops. Demonstrators set up barricades, felled and burned down a few trees near Place de Nation. It’s likely public opinion is radically less sympathetic to the police than it was last week. This is due in part to the release, yesterday, of a shocking video featuring about a hundred teenagers on their knees, hands clasped behind their heads while being watched over by a party of CRS. Dreadful. I just finished putting the final touches on my itinerary. Since my train arrives in Lorient at 4:01pm, I can realistically board the 5:00pm ferry on time. Hopefully the train doesn’t arrive late. The train left Montparnasse Station about 15 minutes ago. J. X. is meeting me on the Port-Tudy wharf at 5:45pm. Since we’ve never met before he told me he’d be wearing a blue jacket and a blue cap. He’s a retired army officer, so I don’t really know what to expect. He could be lovely and open-minded, or a bit paternalistic and conservative, or somewhere in-between. Contrary to popular belief, one meets all kinds of people in the military. In any case, I am 100% sure he’s not unfriendly; otherwise, why would he have bothered responding to my emails and gone out of his way to greet me upon my arrival? Perhaps he’s just bored, or intrigued, as historians interested in Groix are few and far between. I suppose the fact that I came all the way from Canada to peruse the island’s archives makes me a bit of a rare bird. He’ll probably give me the skinny on local dynamics, i.e., who to talk to, and, undoubtedly, who I should be wary of. In one of his emails, he explicitly warned that Groix’s politics is a touchy subject. Circa 2:35pm: first stop, in Rennes. Having flashbacks of my first research trip to Brittany … back in June 2008. 2:45pm: We now enter bocage country. Grey farms nestled in narrow vales parade under a light-grey sky, poplars studded with mistletoe sway slowly, their reflection dancing on the surface of the Vilaine river. 3:28pm: Vannes. I came here on three occasions: in 1993, 2008, and 2010. It’s a charming, albeit somewhat boring town. The medieval walls are rather impressive, and the Tudor style houses of the old town quite quaint. Vannes is mostly interesting due to its strategic location on the shores of the Gulf of Morbihan, as it’s the perfect base for anyone wishing to explore the neighbouring islands, like Île-aux-Moines and Île-d’Arz. 4:40pm: Lorient, Ferry terminal. The meteorological conditions are better than expected, though easterlies are currently blowing at 90 km/h. I look forward to crossing the Courreaux Strait, especially since the sunset promises to be splendid. Lucky I brought my camera, mostly to photograph documents, but also for other, less prosaic uses. The walk from the train station to the docks took only 25 minutes on foot (I’m glad I decided to travel light). This city’s nothing to write home about, as it was rebuilt after the Second World War, in the wake of heavy, traumatic bombings by the Allies. By no means quaint, Lorient is nonetheless a lived-in, inviting city with a proactive cultural policy. 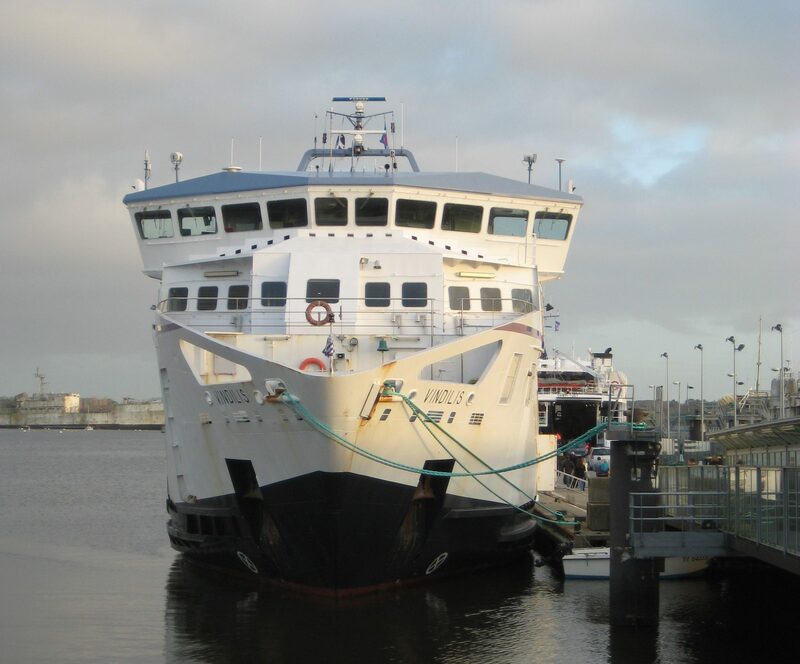 In the mid-1990s, the municipality converted the old Keroman Submarine Base into a naval workshop for multihull ships, and the founding, in 1995, of the University of Southern Brittany helped develop the local knowledge economy. Lorient is also famous for its Inter-Celtic Festival, which has been taking place in the first week of August since 1971. The boat just left. It is now working its way down the roadstead. Industrial and military rleics cast their dark shadows on the shimmering water. Squads of frantic seagulls circle the concrete-grey docks and the cylindrical silos. On the opposite bank, Port-Louis’ scenic sixteenth-century citadel offers a stark contrast with Lorient’s post-industrial skyline. For more on the three intentiones, see Umberto Eco, Interpretation and Overinterpretation: World, History, Texts (Cambridge: Tanner Lectures on Human Values, 1990). The German-occupied Lorient Pocket only surrendered on May 10, 1945.